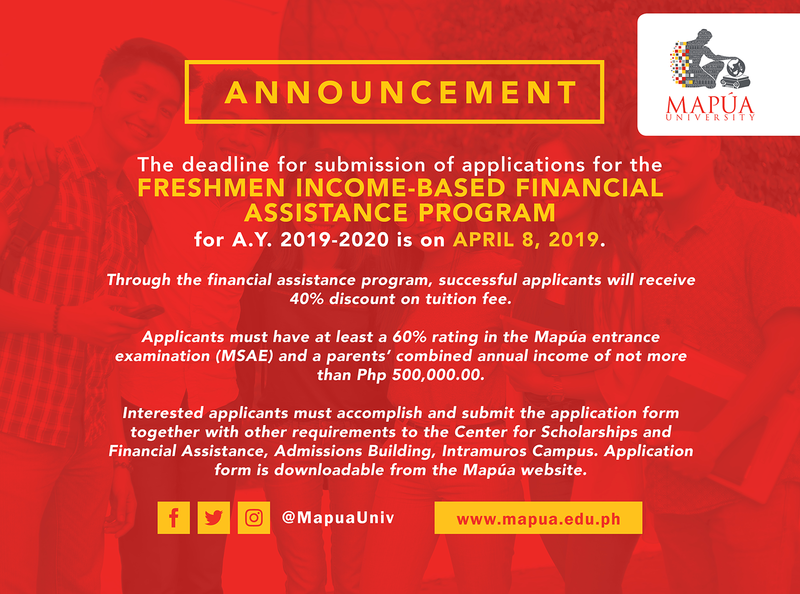 The cut off for the application for the FRESHMEN INCOME BASED FINANCIAL ASSISTANCE PROGRAM for SY 2019-20 is until April 8, 2019 only. Benefit is 40% discount on tuition fee only. Application form is downloadable from Mapua website and list of requirements are indicated in the form. Submit the form and requirements at CSFA, GF Admissions Building.